1:21 a.m. Steamboat Springs Police Department officers were called about a silver Ford truck driving along Lincoln Street that was weaving into the middle of the road. The truck was obeying the speed limit of 25 mph. Officers followed the vehicle, but the driver was not violating any traffic laws. 8:15 a.m. Officers were called by the hospital’s emergency room about a woman who had been bitten by her own dog. 10:24 a.m. Officers were called about a theft in the 2500 block of Village Drive. A man said that someone stole his wallet on Jan. 23. The wallet contained money and his ID. 11:38 a.m. Routt County Sheriff’s Office deputies responded to a disturbance in the 29000 block of Routt County Road 14A. 12:04 p.m. Officers were called about an intoxicated man on a Steamboat Springs Transit bus who was dipping in and out of consciousness. An individual on the bus tried to wake the man up but said he was not responsive. The man suddenly awoke and got off the bus at a gas station in the 600 block of Lincoln Avenue. Officers arrested the man shortly after on suspicion of huffing toxic vapors. 12:20 p.m. 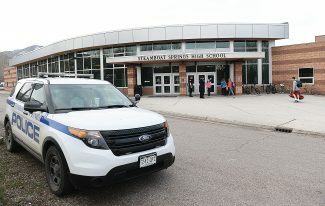 Drivers from Steamboat Springs Transit called officers about a man they suspected of smoking marijuana inside a transit center in the 1500 block of Lincoln Avenue. Officers contacted the man, but he denied smoking or using marijuana. No further action was taken. 12:27 p.m. Officers were called about a group of snowboarders riding a rail on private property in the 100 block of Park Place. Officers asked the snowboarders to leave the property, which they did willingly. 2:52 p.m. Steamboat Springs Fire Protection firefighters were called about a woman with abdominal pain in the 35400 block of Priest Creek Road. The woman said that she needed to poop but could not do so. She said that this had never happened to her before. 9:59 p.m. Officers arrested a man on suspicion of driving under the influence after the man crashed his vehicle at Third and Oak Street. 10:02 p.m. Officers were conducting a traffic stop at Walton Creek Road and Owl Hoot Trail when a man approached the scene and sat on the road between the patrol car and the vehicle that the officers had pulled over. Officers said the man was acting strange and gave no reason for sitting on the road. The man eventually left. 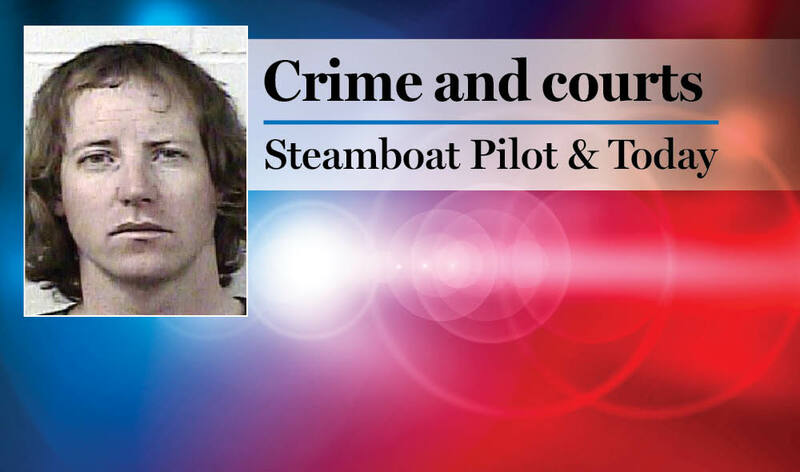 Steamboat officers had 37 cases that included calls for service and officer-initiated incidents such as traffic stops. Sheriff’s deputies had 12 cases that included calls for service and officer-initiated incidents such as traffic stops. 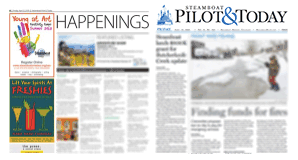 Steamboat firefighters responded to 17 calls for service. West Routt Fire Protection District firefighters responded to two calls for service. Yampa Valley Regional Airport firefighters responded to one call for service.